Any seasoned ASC administrator or business office manager knows that the cornerstone of a financially stable ASC is a strong revenue cycle. 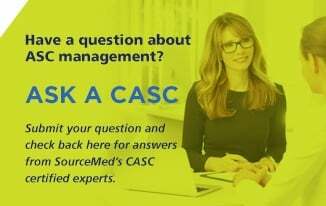 However, ASCs face greater financial pressure, with challenges such as increasing patient out-of-pocket expenses, the demand for price transparency, and complex payer contracts, to name a few. ASCs must ensure their revenue cycle is a fine-tuned machine that runs at maximum efficiency and returns the maximum, appropriate revenue. 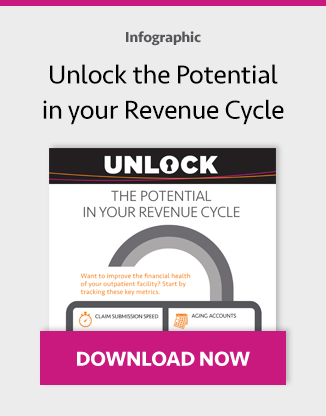 Since the revenue cycle touches every step of a patient’s relationship with the center, from when an appointment is first made to the time when their balance is paid in full, there are many areas where your revenue cycle process can fall short. To help improve the overall performance of your revenue cycle, I’ve outlined four challenges ASC’s typically face with revenue cycle management and solutions to help overcome them. Changes in the insurance industry and coverage make it more likely that a patient’s payment responsibility for surgery will be larger and require more action on the part of the facility to verify and collect. Failure to collect the funds due at the time of service could result in a larger percentage of accounts being turned over to outside agencies for collection. Statistics are showing more delinquent patient balances due to larger deductibles, unpaid co-payments and co-insurances, and missing or lack of complete insurance information. Business management solutions that interface with payer systems and allow users to quickly verify insurance coverage at the time of scheduling can help your facility avoid costs associated with denied claims and slow reimbursement. If two-way communication exists between the systems, you can automatically add valuable insurance information to the patient’s record (such as co-pay or deductible amounts) and use it for reporting purposes. Collecting a majority of the patient’s payment responsibility on the day of service is critical to a facility’s financial health. Past-due patient accounts can cause revenue cycle delays, and management and turnover of these accounts require a large amount of staff time. 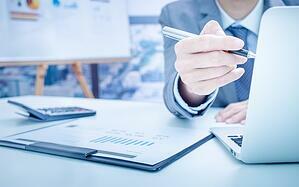 Some practice management solutions allow you to electronically turn accounts over to a collections agency. When needed, this streamlines the process and provides valuable information to your staff. The system should be able to display the “in collections” status in the patient record, and configurable notifications can help staff avoid scheduling new cases for patients who have an account in collection. When there are several manual steps in practice administration and/or charting, this can easily result in incomplete or inaccurate billing. Inaccurate codes, changing payer requirements, and missed charges for implants, plates, and screws in claim submissions can lead to unnecessary delays and denials. A clinical documentation system integrated with your business management solution can help ensure clinical information such as materials and supplies used is captured during the procedure and accurately transferred to your billing system. In addition, most modern clinical and administrative solutions come with features such as prebuilt code dictionaries and payer contract expiration notifications to help keep your billing process current. If your ASC is like many surgery centers, you oversee a small team and may only have one or two employees dedicated to claim submission and billing. Furthermore, if your ASCs have a high turnover rate, this can result in revenue peaks and valleys from month to month due to new or inexperienced coders and billers or an inadequate onboarding process. Staffing inconsistency can contribute to a low number of claims worked per day, payment delays and denials, decreased submission speed, and an increase in aging accounts. Using a professional revenue cycle service (RCS) with a proven track record can provide consistency in your revenue cycle and establish a solid foundation for financial stability. With an entire team of certified coders and billers at their disposal, professional RCS companies can optimize your billing processes, improve claim submission, accelerate collections, and help track denials and correct payments. Most importantly, outsourcing revenue cycle processes provides financial peace of mind, allowing you to focus on other areas of your operations such as physician and patient satisfaction. If you are interested in learning more about our revenue cycle solutions, reach out to us today.